Are you passionate to know about jewelry & stones? Do you know who is behind the process of making an ornament? Then, Gemology is the right career path for you. Gemmology/Gemology is the scientific study of gemstones. It is the science, art and profession that deal with natural and artificial gemstone materials. It is considered in “geosciences” as a branch of “mineralogy”. “Gemology is the study of finding gemstones, grading, identifying and evaluating them”. Gemology is the study of science in which you can learn how to identify the natural gem, diamond, stones, asteroids, etc. In this course, you can also learn about the depth knowledge of gems. Gemology deals with the natural as well as artificial gemstone materials. Gemologists study the atomic structure of a gemstone & identify its origin. They study about the classification of the natural gemstones and discover the way to prevent their damage. Gemologists can also work as a jewelry designer. Gem is one of the most precious and important part of Indian culture. Indians have desired to achieve both precious & semi-precious gemstones such as diamonds, sapphires, emeralds, rubies for their astrological significance. Gemstones are also considered as symbols of power and prosperity. With the trend of gems, the gemology studies are also rising in India as well as in abroad countries. In India tradition of wearing ornaments which are made up of gems, stones & different kinds of stone is very much demanding. So, the scope of Gemology is never ending. In this profession, you can establish your own business or work with other companies. After completion of this course, you can adopt various lucrative jobs & opportunities. How do I become a Gemologist? If you are interested in admission into a Gemology course, then you have to pass your Higher Secondary or Equivalent examination. The minimum age required for candidates to pursue this course is at least eighteen years. For Master courses, the eligibility is Graduation. Some of the universities/institutions also offered online courses in a particular field. If you are interested to do a course from any other Institution, check that they are accredited by the American Gemological Society (AGS). The growing demand for precious stone jewelry increases the employment opportunities for gemologists. 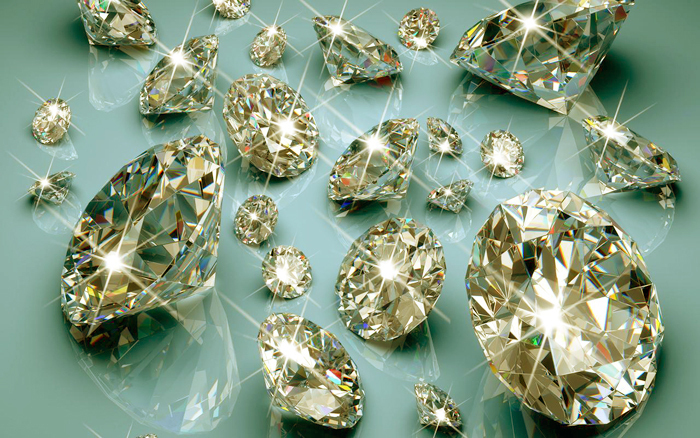 There are lots of job opportunities for gemologists mainly in the private sector. They can go for either the gem exporting and gem mining industry. A gemologist can start their career by working with jewelry houses or work as a freelancer. If you can satisfy the need for market & continue to create new things, then you can work as a self-employed entrepreneur. Those people involved in this field, they can work as wholesalers and retailers of gems and jewelry shop. Many foreign companies and brands are tieing up with the Indian industry for manufacturing gold and diamond studded jewelry. It has also increased the job opportunities. You can also work as an instructor or lecturer in the colleges/universities. Gemmology is a profession with great scope. You can earn extremely well once your ideas and designs are appreciated. The starting salary of Gemologist is Rs. 2 Lakh to Rs. 3 Lakh per year. The salary may rise depending upon your experience and job nature. A highly qualified Gemologist can easily fetch an attractive package between Rs. 4 Lakh to Rs. 5 Lakh per annum. For more information about Career In Gemology, you can ask below in comments. Who is a gemologist? And is a gemologist related to a jewellery designer and how? Which is the best bachelors course to learn about GEMS apart from jewellery design? What are the curriculum for a jewellery designer how is it different from a gemologist?